Yamashita Park was built as a recovery project from the 1923 Great Kanto Earthquake. 70,000㎡ of waterfront rubble were buried to create the park, a fact that is not well known. The view of the moored Hikawa Maru and Yokohama Bay Bridge is popular, day or night. The park is also famous for its roses of which approximately 400 plants of 60 types are planted in flower beds. Osanbashi Pier is the home of the Yokohama International Passenger Terminal where large-scale cruise liners dock. The rooftop plaza has wood decking and grass while the 2nd floor has restaurants, a hall, and the departure lobby. The terminal is open 24 hours a day so it’s also popular as a spot to view the nightscape. The NYK Hikawa Maru is a large passenger vessel docked in front of Yamashita Park. Until 1960, it was in actual operation in the northern Pacific and was called The Queen of the Pacific due to its beautiful appearance. With admission, it is possible to tour the interior where you will be taken by its Art Deco style and feel the atmosphere of an elegant cruise. Yokohama Marine Tower rises 106m in height and was built in 1961 to commemorate the 100th anniversary of Yokohama Bay. It was renovated in 2009 and has an observation deck, a restaurant, a souvenir shop, a café, and other establishments. The Hotel New Grand is a classic hotel that is more than 80 years old. The 2nd-floor lobby of the main building that retains its classic atmosphere can be visited by tourists. Within this atmosphere, you can view Yamashita Park through the windows. It’s also an ideal venue to take a break in its cafés and restaurants. Yokohama is the birthplace of Japanese beer. Kirin Beer was established in 1907 and the Yokohama Brewery is the oldest and biggest factory for Kirin. About 2000 350ml cans of beer are produced per minute. The brewery tour, “The Tour of the Secret Behind the Tastiness of Ichiban Shibori (First Pressing)” is free. There is no English guide but an English-language booklet has been prepared for the tour. The 50-minute tour proceeds together with the guide while viewing the manufacturing process behind glass. You can get comparison samples of the wort for both the first and second pressings, taste the malt and smell the hops. 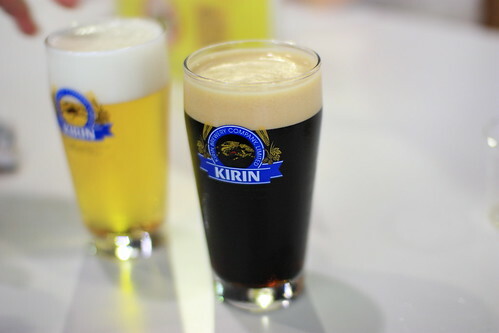 Through an explanation using video and exhibits, you can also find out about Kirin Beer’s selections and first pressings, the differences between draft beer and happoshu (low-malt beer) and other information. A brewery tour that fully utilizes the five senses delightfully continues onto the 20-minute tasting session afterwards. Try three kinds of beer with added snacks. Freshly-brewed beer is very mild with a smooth head and is notable for a clean finish. There is also a lecture on the tasty way to pour beer. For people who cannot drink beer, non-alcoholic beverages and soft drinks are available, too. There are two restaurants at the Kirin Beer Village. The Beer Port offers barbeque and Jingisukan grill for families and friends to enjoy. At the Spring Valley, many brands of original beer are available which can only be tasted on the premises. The brewery tour and restaurants are crowded on the weekends, so making prior reservations will make things smoother. Through events such as interactive beer making classes and beer seminars, you can experience everything related to beer. Admission is free, something that has been the case since its opening. It’s located within Nogeyama Park which is well known for its cherry blossoms, and the zoo is popular as a place where you can freely enter. It’s a small zoo which can be traversed in 1 hour, but there are about 90 animals on display and there are a number of animals being raised. Limited to the exhibition spaces, being able to see wild animals such as lions and bears so up close that you can almost touch them is a feature of the zoo. At the Nakayoshi Plaza, where you can get to feel the warmth of the animals, there are many of them that you can touch such as guinea pigs, mice and chicks. It’s a place that is a big hit with the kids to the extent that numbered tickets are distributed on weekends. Blue peacocks are allowed to roam free to prevent any fights among the males. During breeding season, you can see them spreading their wings up close for an amazing sight. The lesser pandas can be viewed from 360 degrees around so they cannot be hidden from view. These are the most popular animals in the zoo due to their charming and cute appearance. Since it is not a big zoo, once you enter at opening time, you can tour through in about 1 to 2 hours after which you can have lunch in Minato Mirai or Chinatown. Especially right after the opening time of 9:30 a.m., it’s a time when the hungry animals are quite actively moving around so they are definitely worth watching. Nogeyama Zoo is a 15-minute walk up the slope from Sakuragicho Station. Buses come twice an hour. There is an observation area in Nogeyama Park which was renovated in 2011 where you can get a full view of Minato Mirai, Yokohama Landmark Tower, and Bay Bridge. When it comes to enjoying Chinatown, it’s the sampling of the various types of Chinese dishes. But even in Chinese cuisine, depending on the areas in the vast country of China, the seasonings, ingredients, and flavorings will differ. There is Cantonese cuisine with its heavy use of seafood due to the region’s warmth and proximity to the ocean, the spectacular Beijing cuisine based on the palace cuisine which included Peking Duck, the famed Shanghai cuisine with dishes like Shanghai Crab and soup dumplings, and the exciting Szechuan cuisine which makes use of various spices in dishes like Mabo Dofu. You can only experience this wide spectrum of Chinese cuisine in Chinatown. Plus, there is dim sum from its birthplaces of Hong Kong and Macau which is also extremely popular among the Japanese. Called tenshin, it’s a style of dining where you can enjoy drinking tea while eating light dishes such as noodles, congee and dumplings.It’s of course fun to enjoy a restaurant meal, but you can also enjoy eating on the run in Chinatown with foods like the popular meat buns and dumplings. Since its opening in 1859, it has developed into an international port linking Japan with other countries. Osanbashi was born in the 19th century which signified the end of the Edo Era and the beginnings of modernization and internationalization but was damaged during the 1923 Great Kanto Earthquake. Despite its reconstruction in 1925, the times took Japan into war, and the pier underwent a lot of turbulent periods such as the Second World War after which it was taken over by the Allies. Afterwards, with Japan entering a period of high economic growth from the 1964Tokyo Olympics, there was a plan for the international terminal to achieve high functionality, and so it was developed once again to regain prominence. Do you want to make your day trip to Yokohama more interesting? Go to Yokohama with a private tour! If you want to make your day trip more interesting, more exciting, and convenient, you should definitely go with day tours. You can have an enhanced and better experience while traveling in Yokohama. It’s way more convenient as you don’t have to plan your itinerary yourself and you are even guided by a qualified tour guide. You can visit the popular places and enjoy the many different attractions Yokohama offers without hassle. There are many places on the web that offer day tours to Yokohama, but you never know whether they are a trustworthy and good website or not. That’s why I’m recommending you TripleLights. The website is trustworthy, offering many different day trip options to Yokohama. You can also customize the tour itinerary according to your preferences. You also don't have to figure out the transport from Tokyo to Yokohama because your guide will help you with that. Not only the website offers day tours to Yokohama, it also offers many different qualified tour guides you can hire to make your trip more interesting and meaningful. To have a great trip to Yokohama, you need to find the right day tour for you! Here are some of my recommendations for a day trip to Yokohama. One is the Best Memories of Yokohama tour, from which you can experience some of the popular spots in Yokohama mentioned above. You can also check One day-Private & Customized Tour in Yokohama tour and also the Excursion to Yokohama Minatomirai tour. For more day tour options to Yokohama, click here. If you are not necessarily looking for a private tour with guides to guide you around, you can also take the private chartered taxi around Yokohama to bring you around in Yokohama so it's so much more convenient, or private taxi transfer to take you from Yokohama to Haneda Airport or Narita Airport. With these day tours, not only you can have a better experience in Yokohama by visiting beautiful and popular spots, you can also learn with the insights given by your private guide. You will also have an easier travel to and while in Yokohama. 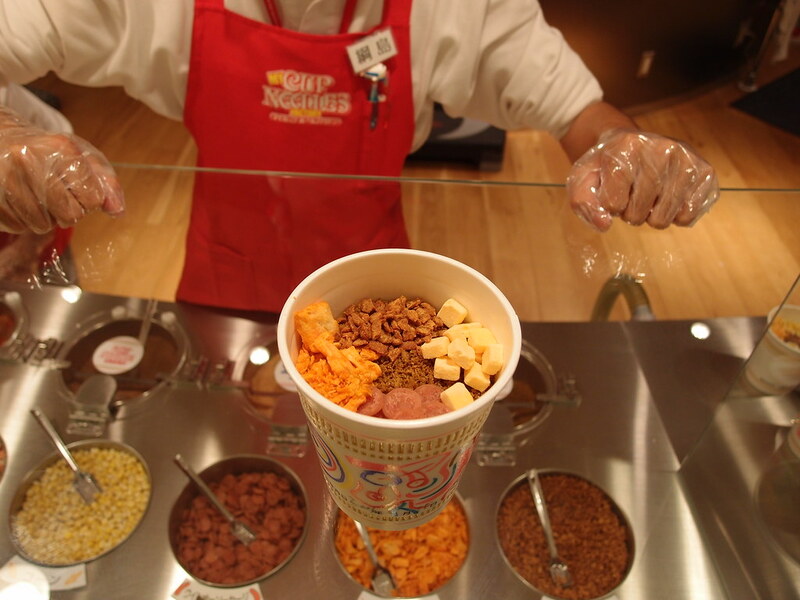 This allows you to have an enhanced yet hassle-free experience! Furthermore, if you are not looking for private tours but for private guides in Yokohama, you can click here. For tours or private guide options for other areas in Japan, you can click here. I hope this article helps provide useful information for your trip to Yokohama, including how to go to Yokohama from some major places in Tokyo, what to do in Yokohama, the popular attractions in Yokohama, tour options to Yokohama and more recommendations. I hope you have a great time in Yokohama! If you are interested to know more and save your time during your trip to Yokohama, You can send a message to our local guides to get a customized itinerary and quotation for an unforgettable experience. Our driver collected us from the airport efficiently. His car was spotless. He then took us to our destination hotel. He helped with our bags at both ends of the trip. We would definitely use this service again. Excellent services. We cleared custom earlier than expected. Driver was not late but kept apologizing for not being able to be there earlier. We didn’t mind. He even bought all of us a drink! He asked us to go to bathroom in case of traffic jam. Safe driving to Yokohama. Recommended services if you have kids and / or a lot of luggages.